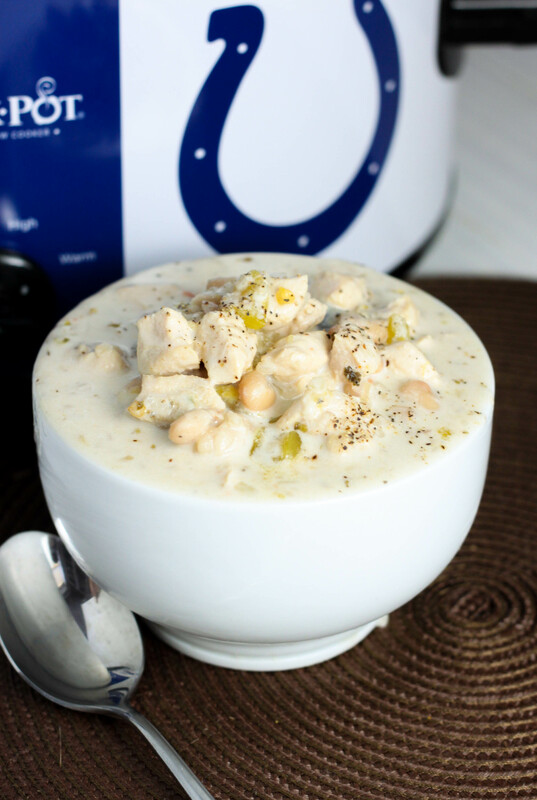 If you are looking for an awesome chili recipe this Crock Pot Creamy White Chicken Chili recipe is for you! I got this recipe from a co-worker after she won a staff chili cook off with it. Traditionally chili in our house always had hamburger, beans, noodles and is topped with sour cream and cheese and is almost always served with peanut butter sandwiches. The way is was served to us in school. 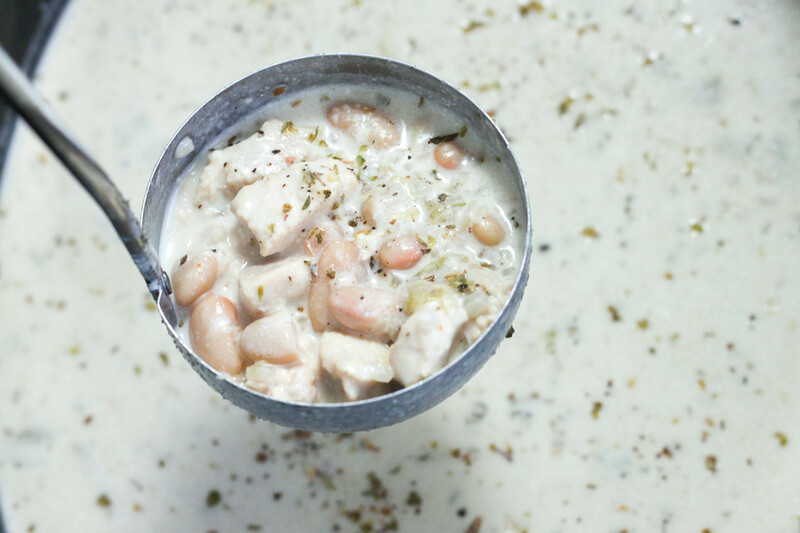 This recipe is a nice way to change up chili night and has great flavor! 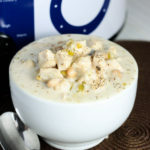 I converted this recipe to a slow cooker recipe. If you would like to make the recipe on the stove top use a dutch oven instead of a crock pot. Cook chicken in oil until slightly browned. Add onion and cook until tender. Add the beans, broth, chilies, spices and bring to a boil. Reduce heat and let simmer uncovered for 30 minutes. Remove from heat and add the sour cream and cream. The original recipe had 2 cans of green chilies but I am not the biggest spicy food fan so I only use one, if spicy food is your thing add another can! In a skillet cook chicken in oil until lightly browned. Add onion and cook until onions are tender. In a slow cooker add the first 12 ingredient (do not add the sour cream of whipping cream) and cook on high for 2 hours or low for 4 hours. Shut off crock pot and add the remaining ingredients. You could just leave the green chilies and cayenne pepper out. I haven’t made it that way but I might add a little cream cheese with the milk so help it get a little more creamy. You could add green pepper instead of green chilies.